A Houston police officer injured Wednesday in a shooting says he looks forward to getting back to work. 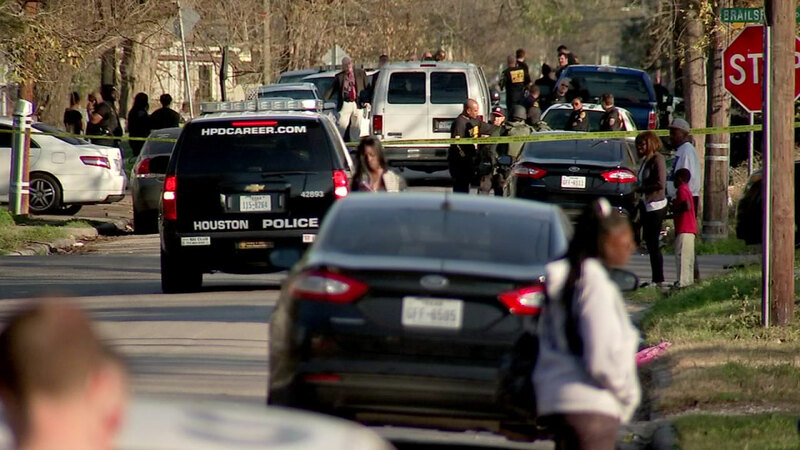 HOUSTON (KTRK) -- We have new details on a Houston police officer who was shot moments after arresting a pair of drug suspects on Wednesday. Police still don't know who shot Officer Kenneth Fregia. His wife is just thankful he's going to be OK. She spoke to Eyewitness News about those anxious moments after the shooting. The shooting happened in the Third Ward as Fregia and other officers had just finished up a search warrant. Fortunately, Fregia was treated and released just hours later. Today at their home, the officer's wife says she's grateful and relieved from the support she's received across the country. "I have to take into consideration that he's been trained to do this and if I worried every single day, I probably wouldn't be able to function," said Officer, Fregia's wife, Stephanie. "I just have to know that all the officers out there have each other's back, and they're good." Officer Kenneth Fregia, 45, has already been released from the hospital, but he may need additional surgery to remove a bullet fragment still lodged in his leg. The search for the gunman is still continuing.